Its back! Our famous annual Black Friday Gift Card Sale is coming! November 25 through 28, every Trompe Loeil Gift Card you purchase at our Mainstore location is 50% off the face value! Grab them for yourself, give them for gifts – they never expire and can be used throughout the year! 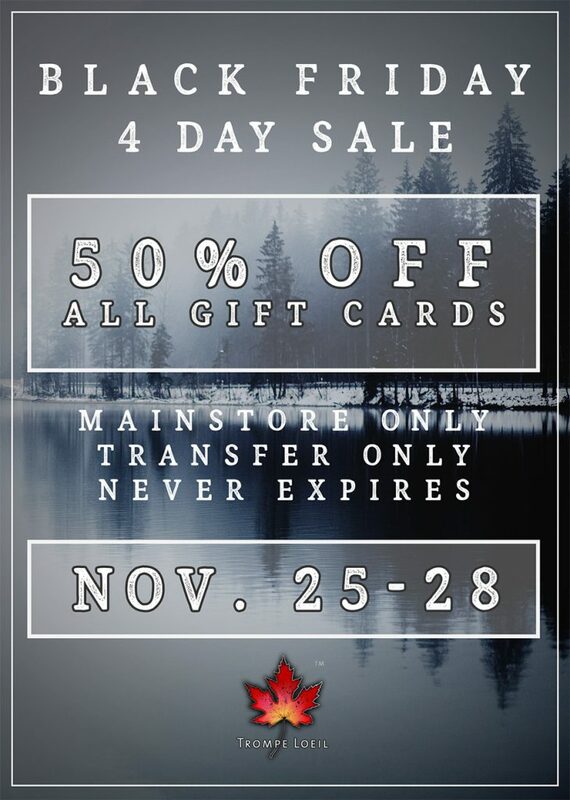 Our Gift Card sale is only at our Mainstore location, and will only be running from November 25 to 28!